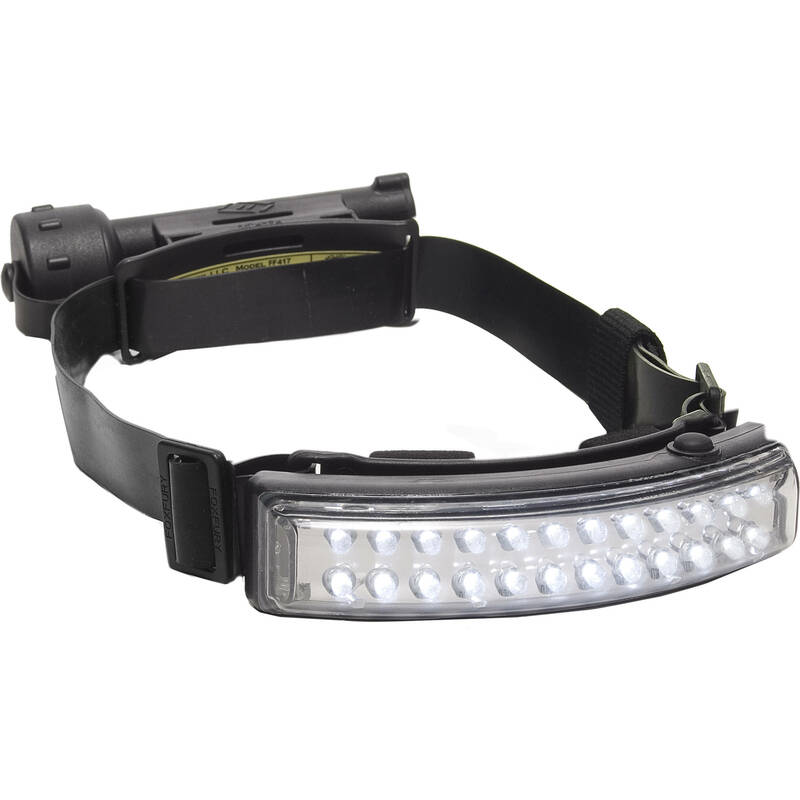 Light up smoke-filled or hazardous work environments with the Performance Intrinsic Tasker Headlamp from FoxFury. Designed with a hard hat fit, this curved headlamp shines in a panoramic configuration for wider coverage. The lamp carries UL 913 and CE certifications for safety in explosive environments, and meets NFPA 1971-2007 fire-resistance standards. It is rated IPX7 for ingress protection, is submersible to 20' and is impact-resistant to 9.8'. The battery pack holds four user-supplied AA batteries, which power the light for up to 8 hours.